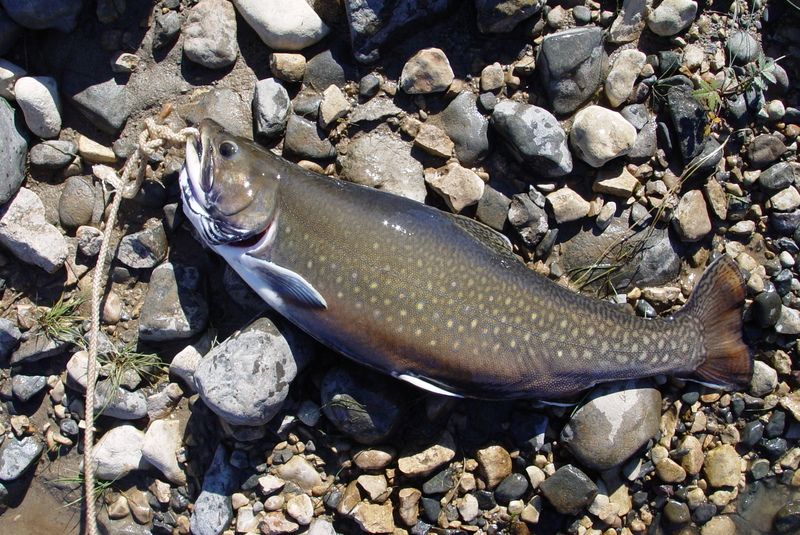 The Sutton River is world renowned for its abundance of those beautiful trophy brookies. You will have the opportunity to catch both native and sea-run speckle trout in this river. It is everything you read about and more. The Sutton is that once in a lifetime fishing trip you will always remember. I will never get tired of seeing the faces of those lucky enough to return from the trip as they step off the airplane and, with a big sigh, smile that thankful grin that says it all. There are many ways to enjoy this trip. – It takes at least 7 days to float the river in its entirety but you can choose to take more time if you prefer. The length of your trip will not determine the cost. 9-10 days is ideal and will allow you to enjoy the hot spots a little longer rather than have to rush to your next location. Anglers seem to have different experiences and different paces on the river. Some like to paddle as much as they can for the first few days and then concentrate on fishing, others will split their time evenly every day. Once you get to the river, the fishing, weather and energy levels will determine your pace. It’s good to plan in advance, but the river will help your decision once you have arrived. The only thing that will be set in stone is your arrival and departure date. 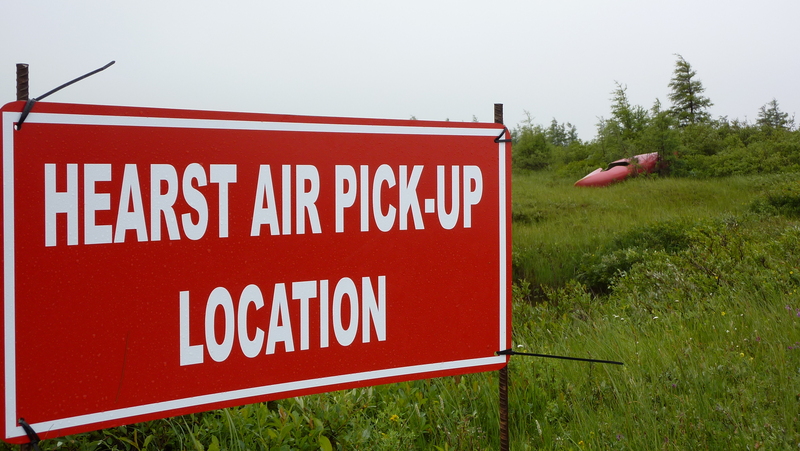 Once you’ve arrived at the coast for your pick up, the aircraft will take your crew, your gear and canoes back to Hawley lake, fuel up and head back to Carey lake marking the end of your journey. We supply – return flight, canoes (17’ royalex) and shot gun permits for the park. You supply – camping equipment, fishing gear, paddles, food, maps, GPS, suggested one 12 gauge shot gun with slugs for every canoe, bear bangers or flares (if you so choose). It is strongly suggested by the local native guides to have a sleeping tent/structure that is taller than a Polar Bear would be. This will help to keep them away from walking close to the sites if they are in the area. 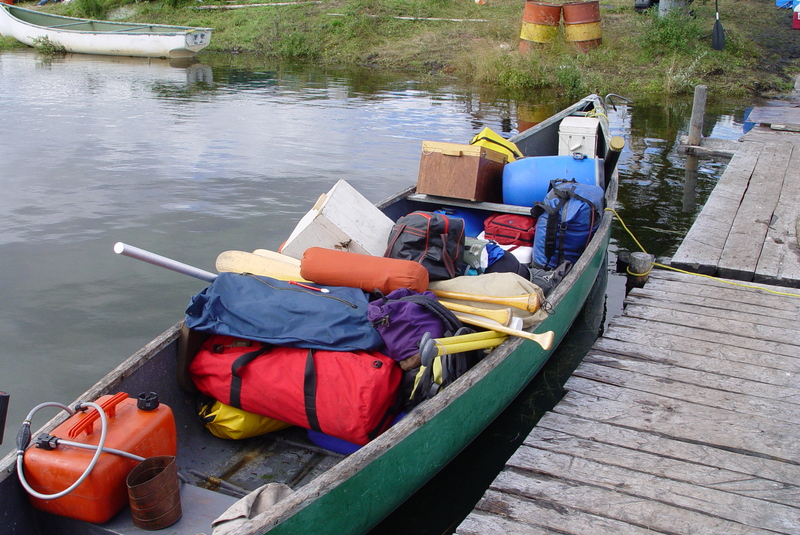 Basically…you are responsible for bringing everything needed for the trip other than the canoe. Strict 100 lbs per person. -Hawley lake is the starting point for Sutton river and is home to Albert Chookomolin and his family. The Chookomolins have been a big part of the Sutton River’s history and experiencing the area with them is an experience you will never forget. Their knowledge of the fishery, wildlife and coastal lifestyle is surpassed by none. There are three basic guest cabins at Hawley lake. They will guide you daily on the river and the lake for monster brookies and lake trout. This is an outstanding fishery to be experienced with very good company. You can even customize some services and stay on the river overnight. This would allow you to get a little further into the Sutton for both the native and the sea-run trout. You bring – fishing gear, food and personal items. ~ Pack your things now…100 lbs of gear allowed per person. It’s tight I know, but it’s a long way and we need to maximize on the weight of the airplanes. 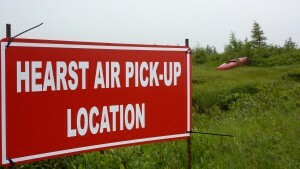 ~ Now get yourself to Hearst where our float plane base and office is. We are located 16 miles west of the town of Hearst on HWY 11. Most people drive up the day before the flight as we begin flying at 7am. ~ Your flight will take approx. 2.5 to 3 hrs and get you to Hawley lake where the Sutton River begins. Here, you will be greeted by Albert and his family who operates his own camp on the lake for those who choose to stay at one base camp rather than float the river entirely. If weather allows a good morning flight, you should be on the river by lunch time. The best time to be on the river is anytime between the last week of July right into the first week of September. Why?? The sea-run trout are found throughout the river near the 25th of July, and September, well the fishing is still phenomenal, but the coastal weather gets temperamental….so we like to stay away from the end of the month. You may choose to go with a minimum of 2 people or a group of 8. You will get 1 canoe per 2 people. The number of people will not affect your cost. HOW MUCH TIME SHOULD I SPEND ON THE RIVER? The river is approximately 75 miles. You will need at least 7 days for a comfortable trip. Choosing a longer stay allows you to stay at least two nights in the same location once or twice during your trip. Once you get to the honey holes, it’s nice to set up and just wade from there. We have people that are avid paddlers and some who aren’t used to rivers at all…makes no difference…the river is mild, no white water…you can wade 80% of the river. A fly-fishing dream! The length of your stay will not affect the cost. WILL I RUN INTO POLAR BEARS IN THE POLAR BEAR PROVINCIAL PARK?? Yes, that’s right…..Polar Bears. The bears are there. We issue shot gun permits through the Ministry of Natural Resources for transporting a 12 gauge shot gun per canoe. Many groups also bring a “bear banger” and that seems to be enough to scare it away IF you see one. IMPORTANT – at this time of year, the bears are not in an aggressive state, they are done hunting and they are plump and well fed. But they are wild polar bears and they are curious. Not everyone sees them on the river, but you need to be well aware, prepared and it is YOUR choice to choose this trip knowing there is a good possibility you will run into one. Mike Borger report and reference below. 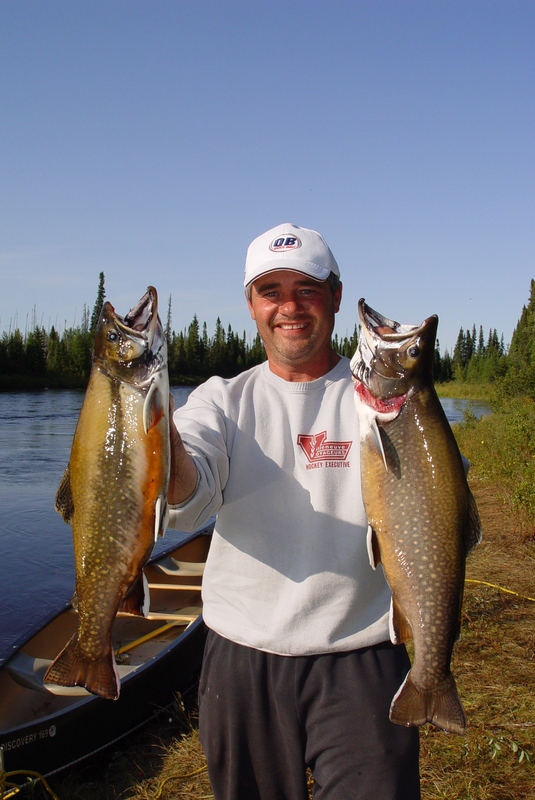 Starting off on Hawley lake, where you can also fish for lake trout, you will make your way into the Hudson Bay lowlands, through Polar Bear provincial park. The float trip takes at least 7 days. You will find yourself paddling some of the most clean and clear waters offered this far north. With no rapids nor white water to battle, the Sutton is a great river if you’re looking for a place to concentrate on the fishing rather than the canoeing. Its crystal clear waters and pebble bottom allows you to see the trout as they race beneath the canoe. It is not uncommon to reel in close to 100 fish daily. 3-5 lbs brookies on fly rods or spinning reels. All you need to know is to get big tackle and strong tackle. Single barbless hooks are required. We strongly recommend to purchase a conservation licence for this trip. Having a few for dinner and the experience of catching them is more than enough to complete this amazing Far North adventure.